Quattro Foods are delighted to continue supporting the incredible work that The Africa Trust does, making the lives of less fortunate people more bearable, in circumstances we very probably will never experience ourselves. As well as making sure our team remain hydrated throughout their working day, it’s fantastic to know that we’re supporting this great cause. 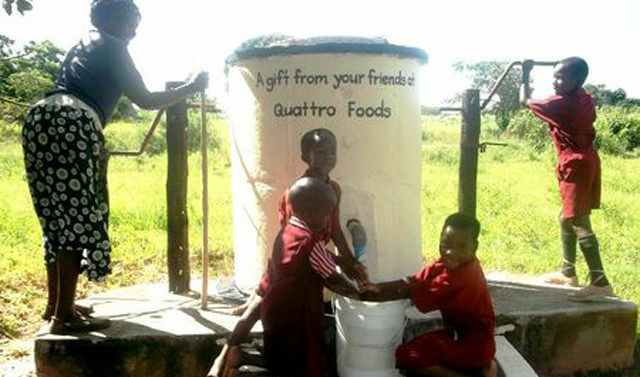 We love seeing the children with their own well, enjoying what is a most basic necessity, donated by Quattro Foods Ltd.